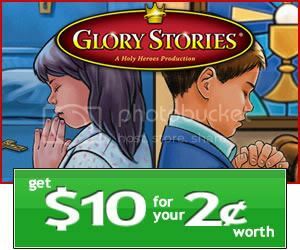 great way to teach your kids about praying the chaplet! 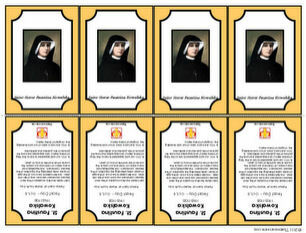 including Printable St. Faustina Trading Cards! 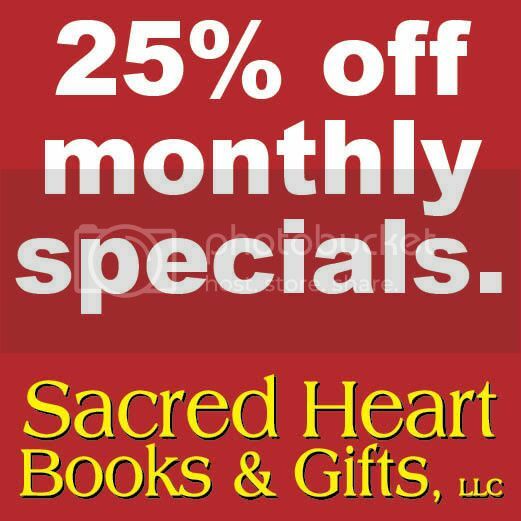 along with a great coloring page, a craft, and more! 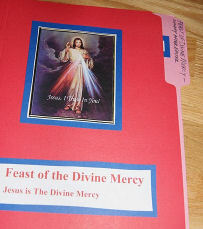 Want to make a Divine Mercy Lapbook? 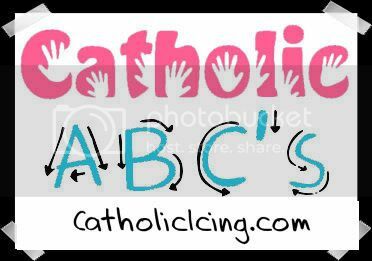 Find some examples and ideas here, here, and here. how to pray the Divine Mercy chaplet on a rosary. 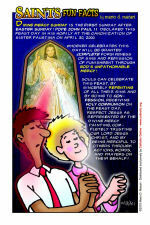 Fun Fact sheet for Divine Mercy Sunday. 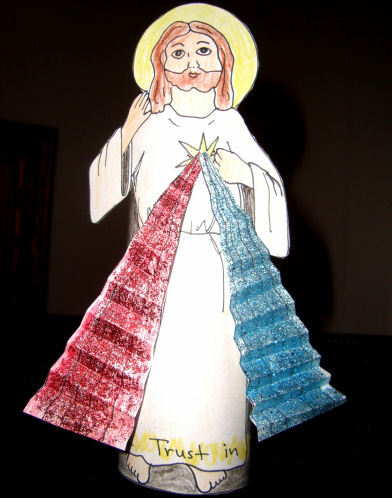 you can print with the Divine Mercy Image. with Diary of a Sower. would be to make a Divine Mercy Sundae. so much fun making these!!! 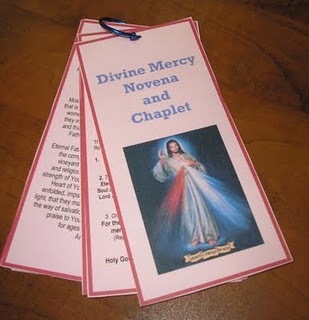 There's actually a song that goes through the Chaplet of Divine Mercy, and you can listen to it here. 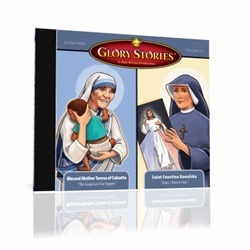 You can also order a CD with the Chaplet of Divine Mercy in Song . 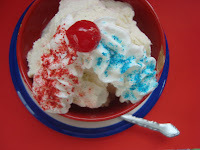 is definitely on my to-do list! 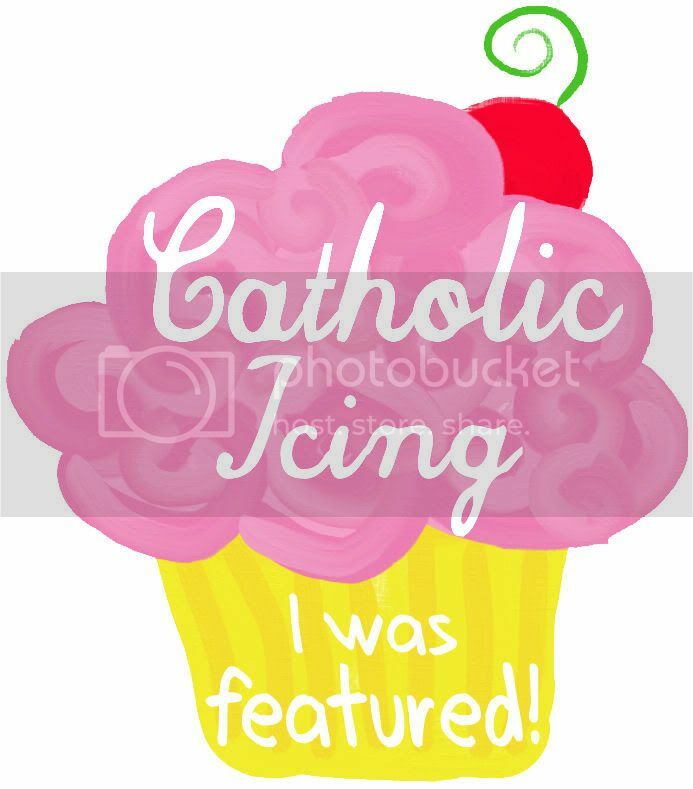 Awesome compilation of faith-filled activities, Lacy. 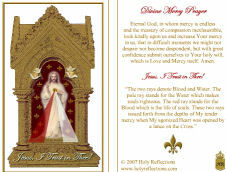 thanks for featuring my Divine Mercy Lapbook. 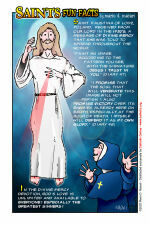 I'll be checking out the Divine Mercy prayer cards at Holy Reflections -- I love that site. 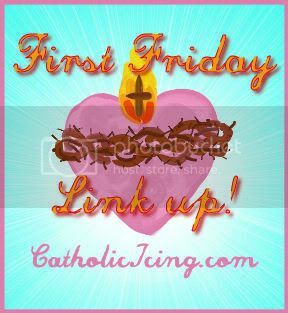 As always I loved your links. The link to the DMC song is my favorite. It takes longer to sing it - but to sing is to pray twice! It makes my skin tingle with goosebumps whenever I hear it. 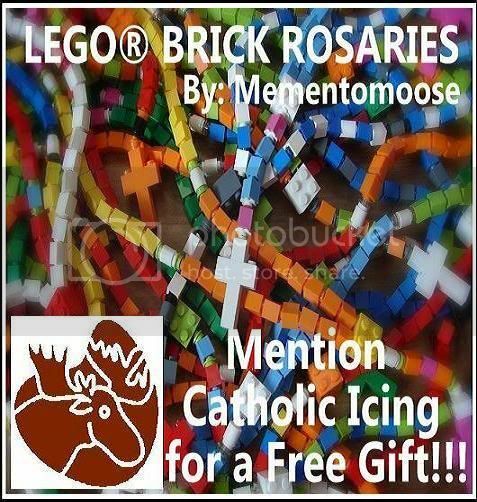 While the rosary has lots of merit, Chaplets like this are more likely to be said by my children with short attention spans. We liked making the Divine Mercy paper statue, and will bring them out on the Feast Day. I printed the first printable you listed, which will be great for my kids that read, and fun to color for my little ones. Thanks again! Woww, I love your ideas! You're really inspired by the Hole Spirit. Thanks for sharing. 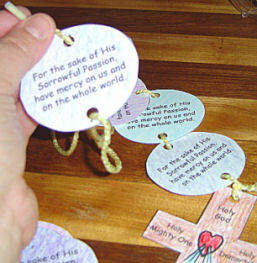 I'm looking for an idea of making a rosary with recycled material... If you have something, please don't forget me. 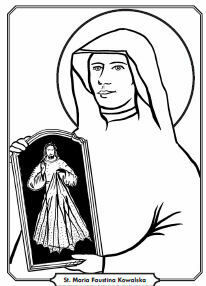 Peace of Jesus and Love of Mary, be with you and your family. 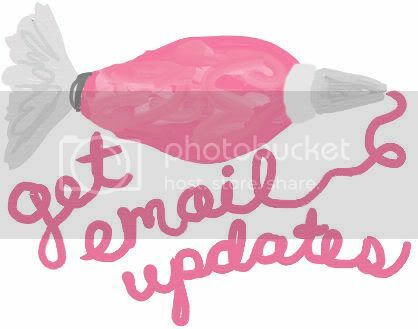 Hi to every body, it's my first visit of this weblog; this weblog carries amazing and in fact good stuff in support of readers. 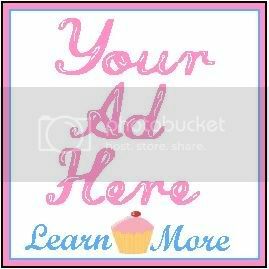 Hi there all, here every one is sharing these familiarity, thus it's fastidious to read this website, and I used to pay a visit this webpage daily.